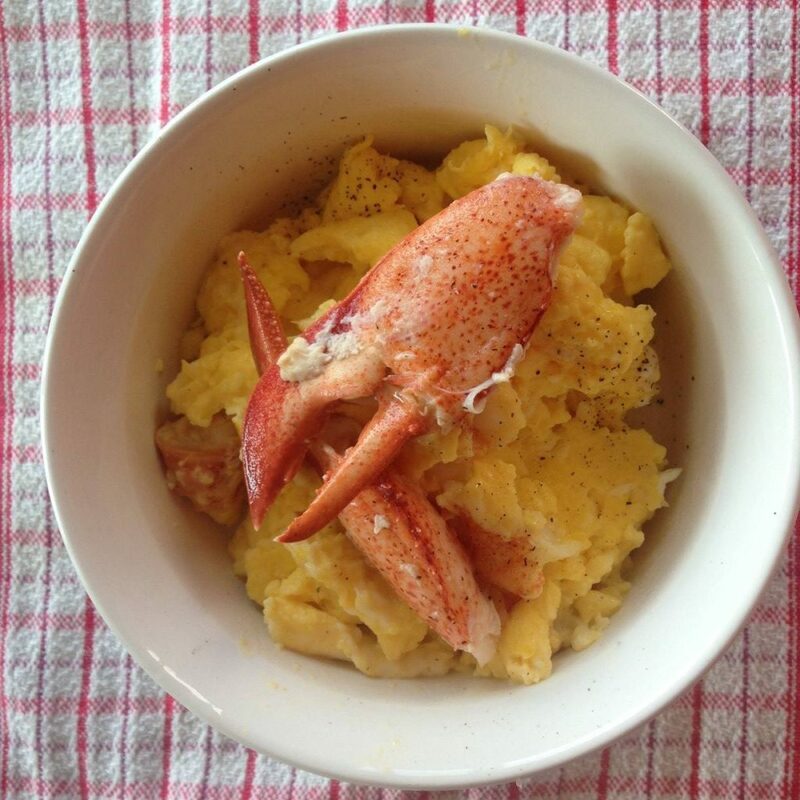 Luscious lobster scrambled eggs – the best lobster breakfast recipe. If you want to serve lobster for breakfast or brunch, look no further than this lobster scrambled eggs recipe. Eating lobster at breakfast might sound indulgent but it’s actually a healthy way to start the day, given that lobster is high in protein yet low in fat and cholesterol. I have experimented with and sampled a variety of lobster and egg recipes through the years – from lobster omelettes to lobster eggs Benedict – and lobster scrambled eggs is by far my favorite lobster breakfast recipe. The soft, creamy texture of scrambled eggs is a perfect compliment to lobster. This recipe is perfect for lobster leftovers and if you’re working with previously cooked lobster, lobster scrambled eggs are quick and easy to make. When cooking with lobster, my principle is always: the simpler, the better – especially at breakfast! Crack three fresh eggs into a bowl and pour in a good measure of cream. Toss in a handful of previously cooked Maine lobster meat, torn into bite sized chunks. If possible, save out a whole (picked) lobster claw or two to use as garnish. Pour the mixture into a frying pan and cook at a medium heat, being careful not to overcook the eggs and lobsters – you want the egg to be moist and fluffy when serving. Add in salt and pepper to taste. Plate up and finish with a lobster claw garnish.